Join us for the last ever MA show from Portsmouth University, featuring a diverse range of artists at different stages in their careers and producing bold and innovative works. 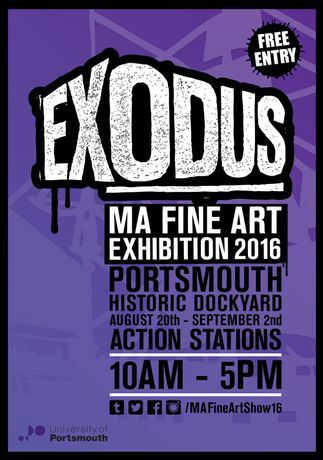 Join us for the last ever Fine Art show from the University of Portsmouth's MA students. This is not just the last show for the graduating MA students, but also the end of Fine Art at the University of Portsmouth after a long and important history, producing among others, renowned artist, Grayson Perry. 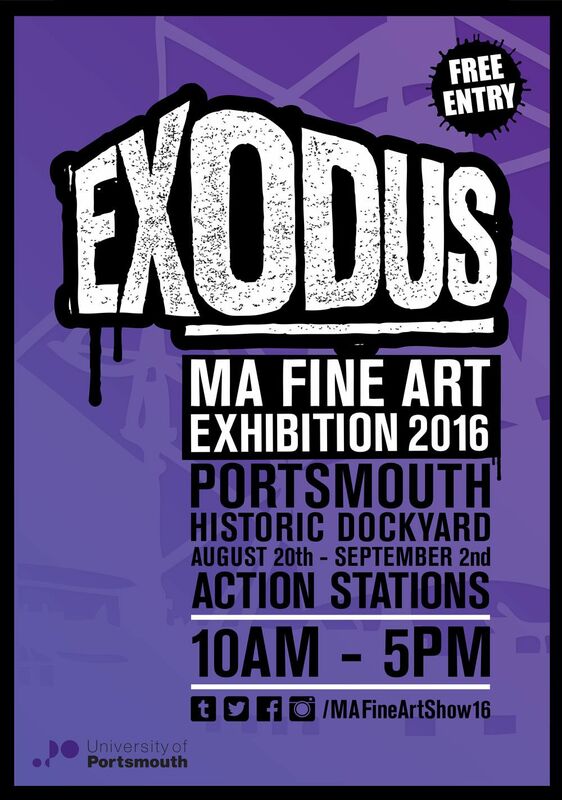 Exodus brings together the work of seven diverse artists at different stages in their careers; with themes explored including memory, the invisibility of disabled sexuality, action ritualisation, doodleology, liminal space, eighteenth century cross dressing female sailors and the relationship between colour and our sense of what is sacred. Those lucky enough to attend will see installation, photography, painting, drawing and more.